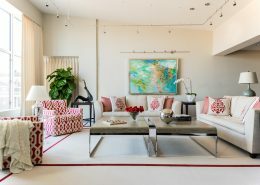 The total renovation of this 1980’s era home, with its outdated materials and cramped spaces, provided a clean palette to bring it forward to the current times. 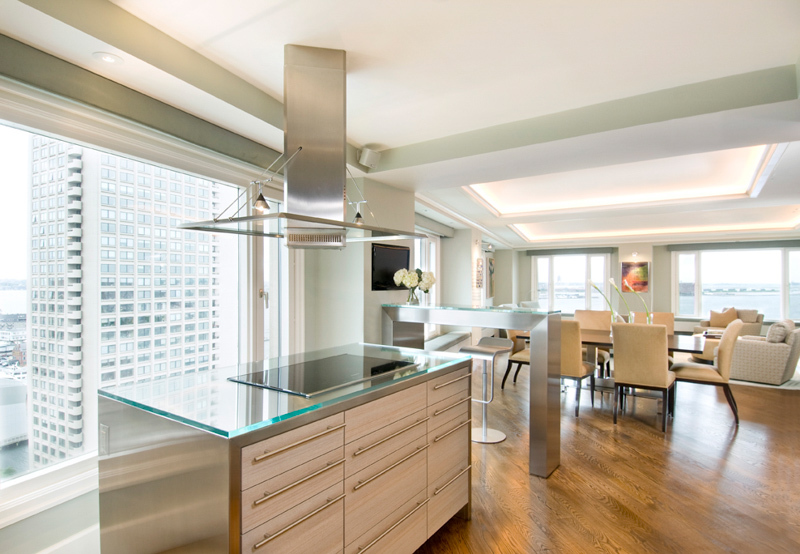 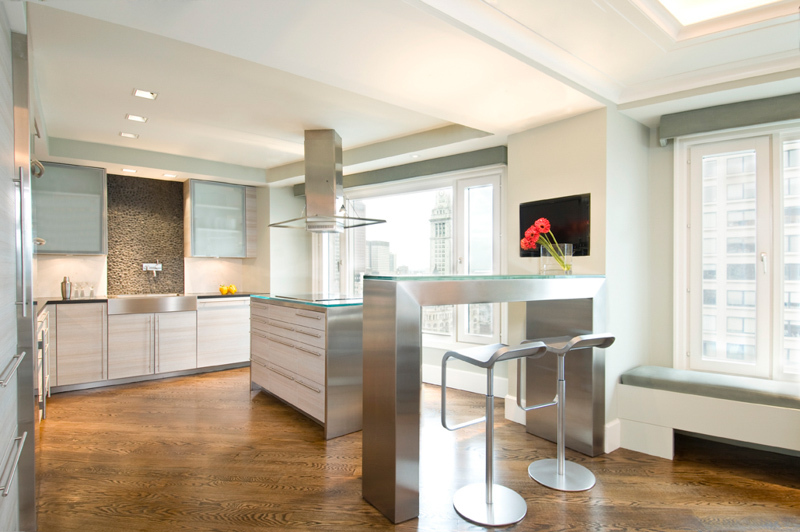 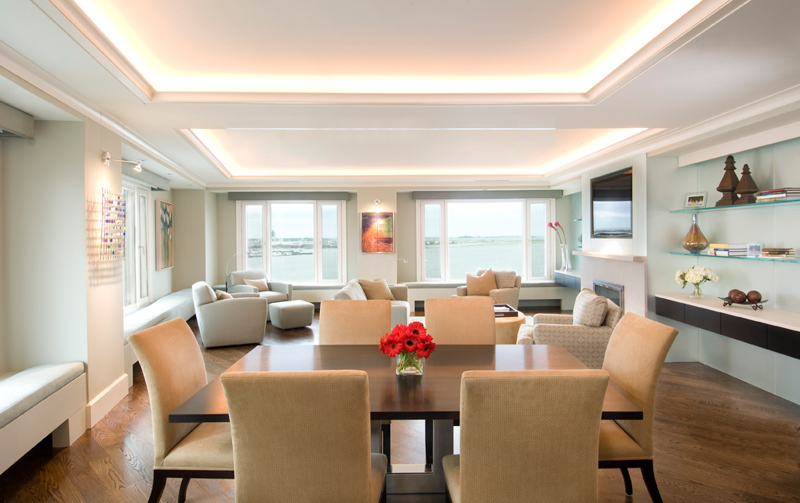 By opening the wall between the living area and the future kitchen, this created an open concept expanse which allowed the homeowners to take advantage of the fabulous water view. 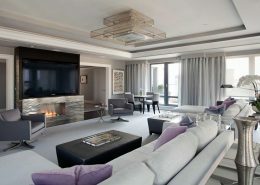 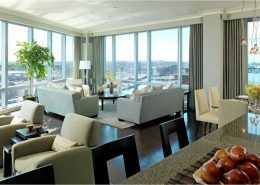 With cleaned lined, comfortable and transitional furnishings, the home is welcoming but also city chic. 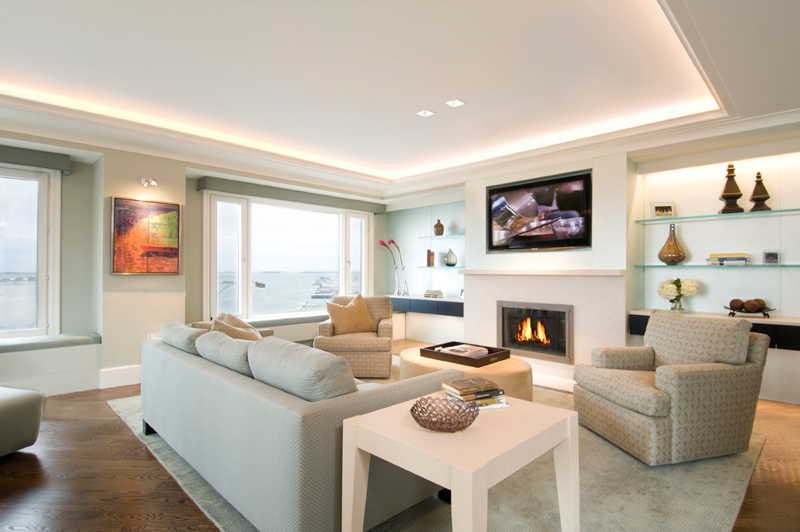 The fireplace was enhanced with a beautiful feature wall consisting of cantilevered glass shelving, sandblasted mirror, cabinetry topped with stone, and extensive LED accent lighting. 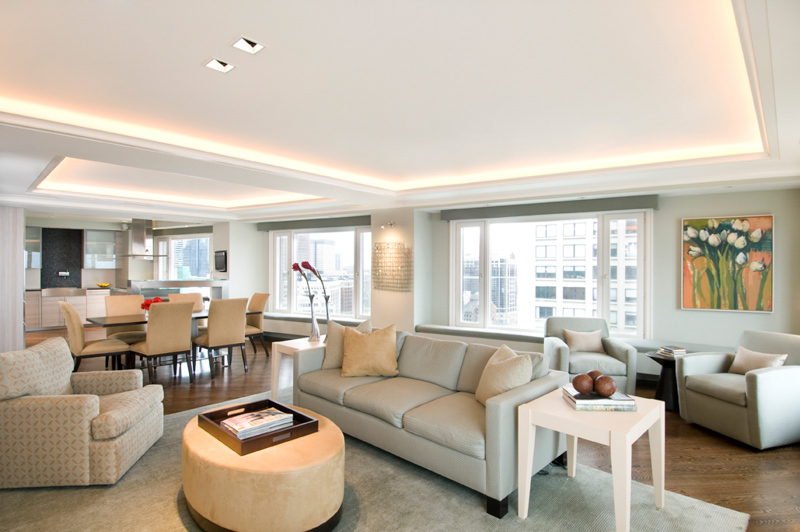 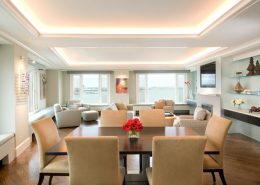 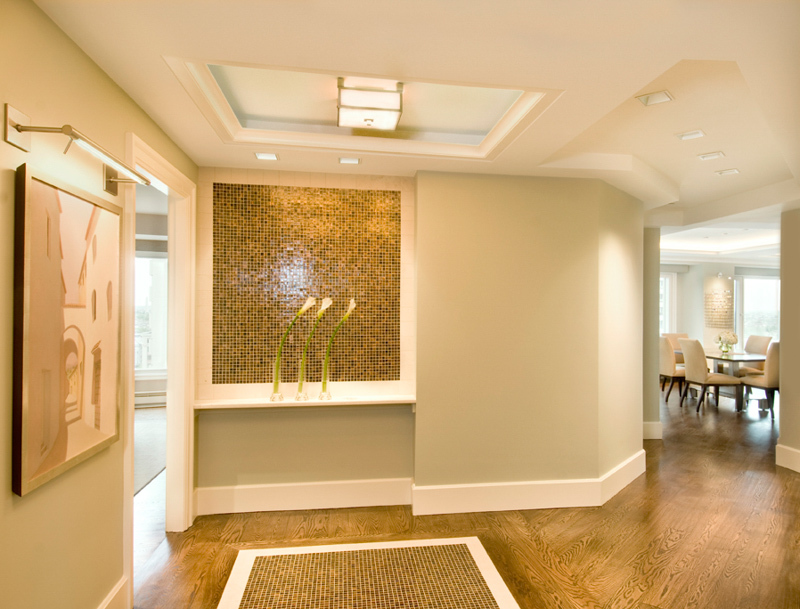 Throughout the whole residence, soffits that were designed with intent and with lighting to enhance the space. 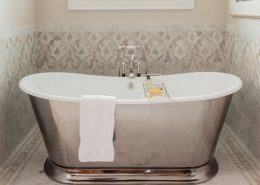 Pre-construction, the master bathroom was a real throwback in time with its outdated tile materials, small shower, overly large tub and poor lighting. 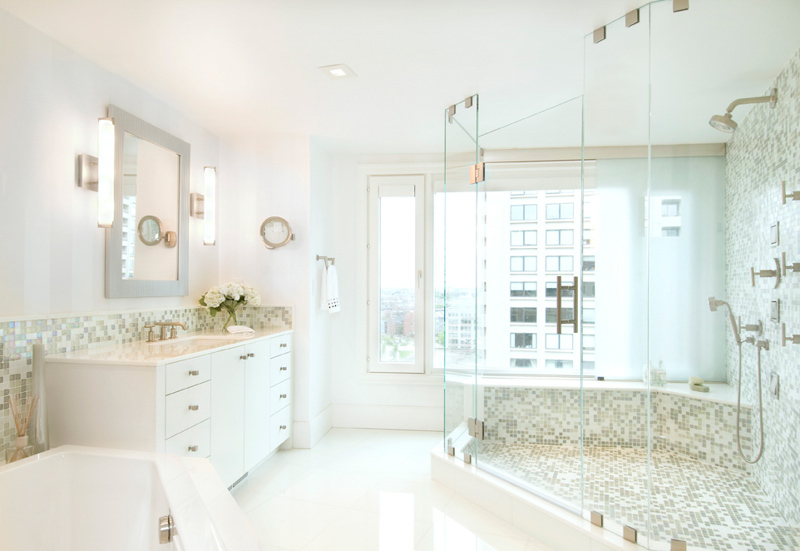 The bathroom was totally reconfigured to accommodate the homeowners’ wishes for a large shower and smaller tub, using materials that are crisp and clean and appropriate to an urban, waterfront space.